It’s a sad day for humanity when racist rants on YouTube seem to get more and more common everyday. This one however, certainly stands out from the rest. 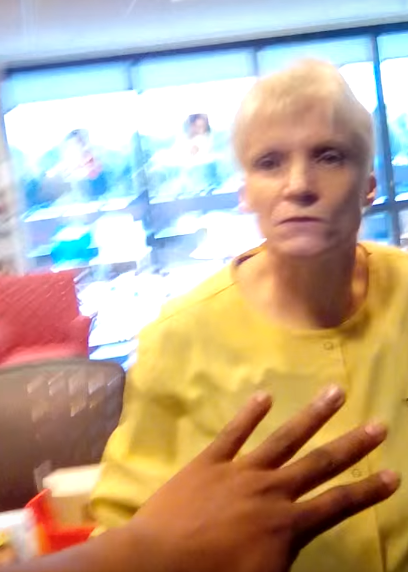 This six minute clip, filmed by Isaiah Baskins, shows the shocking moment an elderly volunteer at the Wake Forest Baptist Medical Center in North Carolina, seems to implode in her desperate racist attempts to expel a black family from the building. 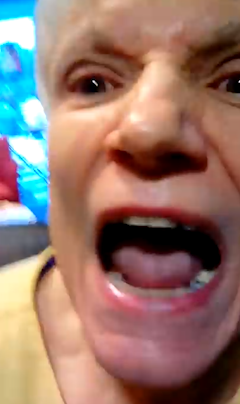 The old gal starts off relatively frantic but things just get worse and worse, until she reaches the point of no return when she drives her face into the camera and spits fury with her inaudible, discriminatory wrath of hate. Isaiah said that the woman in the clip had used a racial slur against him and his family, although she insists she’s just annoyed about his grey underwear. Went to Baptist hospital for my daughter appointment and went into the family resource center and became a victim of racism. Before I started recording she called me a n*gger and said get my black kids out. And these claims seem to have been backed up by the hospital who have since got rid of the volunteer from their work force. We deeply regret and apologize for this behavior demonstrated by our volunteer in this video. We are dedicated to providing an inclusive environment for all, with respect, dignity and compassion. We are taking action, and this individual is no longer a volunteer with our organization. If they haven’t already, one of our senior executives should be reaching out to you shortly. Again, we apologize for this appalling incident.